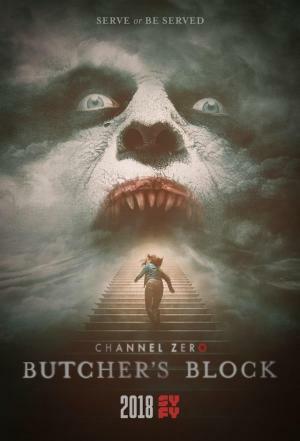 Channel Zero (2016) : Série TV de 4 saisons et 24 épisodes diffusée sur . Casting, acteurs, bandes annonces et actualités. Casting de la série "Channel Zero"
S01E01 Retour à Iron Hill 11/10/2016 The return of a kids' TV show from the 1980s coincides with the disappearance of a young person in the premiere of this series, which revolves around a child psychologist's investigation into the 1988 murders of several children, including his twin brother. S01E02 Je te tiendrai la main 18/10/2016 Marla agrees to help Mike investigate the murders; Marla is horrified to learn a secret about what happened in 1988 that's been hidden since that time. S01E03 Ça ne fait que commencer 25/10/2016 Mike must convince Gary that Candle Cove is behind the murders before he takes justice into his own hands; Marla, Jessica, and Amy frantically search for Mike before it's too late. S01E04 Je ne suis pas Lily 01/11/2016 Mike's daughter Lily mysteriously arrives in Iron Hill, leading to more information about the murders of 1988; Mike and Jessica take drastic measures to heal the past and protect Lily from Candle Cove. S01E05 L'Invité d'honneur 08/11/2016 Mike and Amy learn that the creator of Candle Cove isn't who they think he is; a brutal crime shocks the Iron Hill police force. S01E06 Fin de partie 15/11/2016 After Lily is taken by Candle Cove, Mike puts himself in danger to save his daughter and confront his tormentor; Marla faces an impossible choice. S02E04 The Reflection 11/10/2017 The group faces the most dangerous part of House World as they search for the exit; with the Father in pursuit and shocking discoveries about each other revealed, tensions within the group simmer. S03E01 Insidious Onset 07/02/2018 When a young woman named Alice moves to a new city, she learns about a series of disappearances that may be connected to a baffling rumor about mysterious staircases in the city's worst neighborhoods. S03E02 Father Time 14/02/2018 Alice treads the line between reality and madness as she becomes more deeply entangled with the Peach family and their dark history; Zoe begins to behave strangely following her unexplained return to Garrett. S03E03 All You Ghost Mice 21/02/2018 Alice has a terrifying encounter in an abandoned hospital; Luke, Louise and Nathan play cat-and-mouse with Robert Peach. S03E04 Alice in Slaughterland 28/02/2018 Alice confronts her own incipient madness while Zoe eats with the Peaches. S03E05 The Red Door 07/03/2018 Zoe discovers there's something else living in the summer house; Alice reaches the point of no return. S03E06 Sacrifice Zone 14/03/2018 Zoe and her friends confront the Peach family. S04E01 La Porte des secrets 26/10/2018 Une découverte troublante amène Jillian et Tom à soupçonner que leur maison est hantée par des secrets du passé. S04E02 Le Gardien 27/10/2018 Après avoir assisté à un meurtre, Jillian explore des secrets de son passé. Tom se rend compte qu'il est en danger. S04E03 Maux d'amour 28/10/2018 Jillian et Tom, terrifiés, dévoilent leurs secrets et tentent de surmonter les conséquences dévastatrices. S04E04 Quand éclate la colère… 29/10/2018 Alors que le vieil ami de Jillian chasse Tom sans relâche, elle fait équipe avec un voisin pour tenter de le sauver. S04E05 Tu m'appartiens 30/10/2018 Ian fait un grand geste qui menace de séparer à jamais Jillian et Tom. S04E06 Nous deux 31/10/2018 Jillian et Tom ont entrepris de vaincre les démons de leur mariage une fois pour toutes. Envie de parler de Channel Zero ? Les discussions sont là pour vous. Retrouvez toutes les informations sur Channel Zero lancée en 2016 : synopsys, casting complet, acteurs, scénariste, réalisateur. Découvrez des séries similaires à regarder également. Faites vous une idée de la série grâce à la note des membres et aux critiques des internautes.